In late March 2016, I was walking up from the sea walls in the Mangana district to Aya Sofya when I saw a new building site in Cankurtaran. 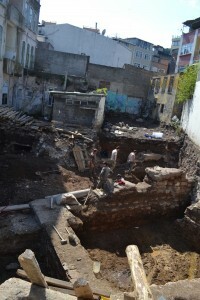 Because of the density of buildings in Constantinople in this district, every property has a few Byzantine bits in the basement. This site (41.005861, 28.982220) was no exception. 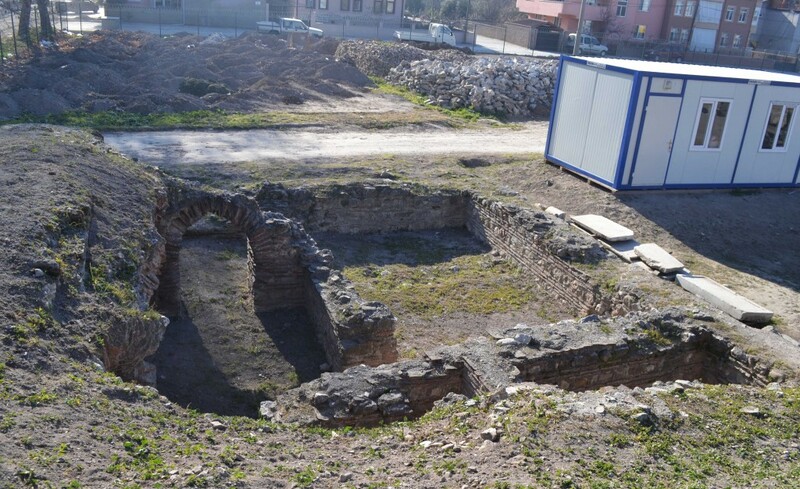 The location is between two of the major areas of Byzantine building activity: it is south-east of the Great Palace and west of the Mangana region. 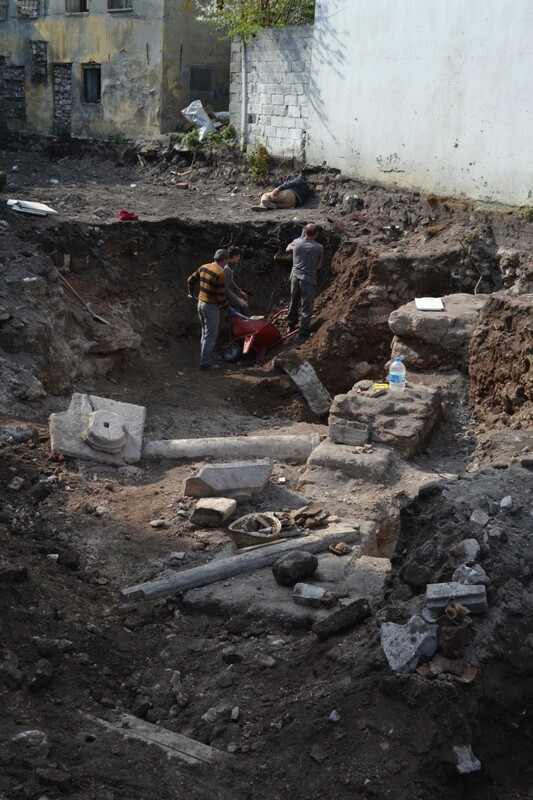 A quick look at the objects uncovered so far argues for a late Byzantine church, 12th century or later. The column capital in the middle of the picture below is of that age. 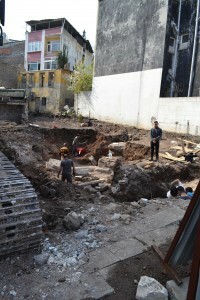 However, it will take some detective work to figure out when the church was originally built and which parts are from later additions and renovations. 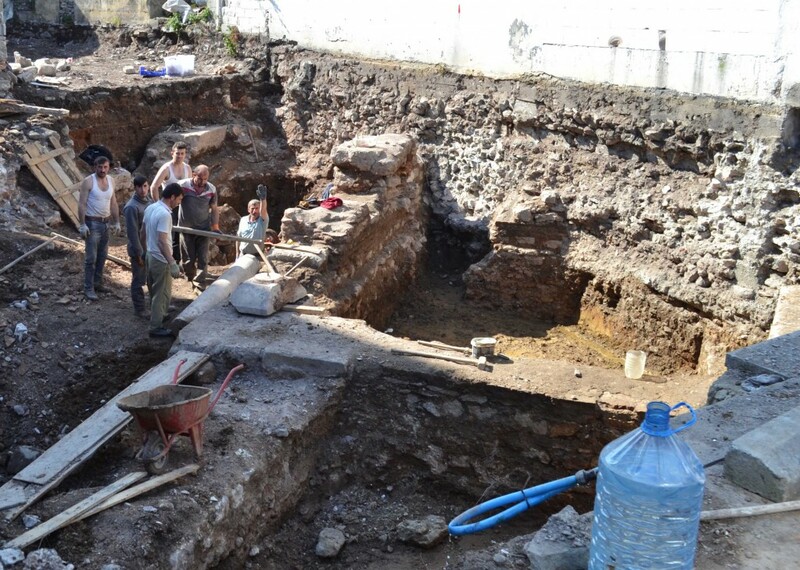 There is clearly a great deal of Constantinople to be discovered beneath the existing buildings in this area.